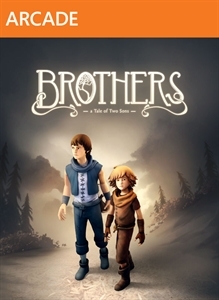 Brothers: A Tale of Two Sons is an story-driven adventure video game developed by Starbreeze Studios and published by 505 Games. Based on the best-selling Top Cow comic book, The Darkness casts players as Jackie Estacado, a fearless Mafia hitman for the Franchetti crime family who is suddenly possessed by the terrifying and spectacular powers of The Darkness. Throughout the game, players must learn to control and harness The Darkness power in order to overthrow the vicious m.. The newest title in the Riddick franchise, The Chronicles of Riddick: Assault on Dark Athena brings the hit first person shooter to a new audience and a new generation of consoles when it is released for the Xbox360®, PlayStation®3 and Windows® PC in Spring 2009. The action-packed game, a hi–definition re-imagined version of The Chronicles of Riddi..
Set in 2069, Syndicate takes players into a dark, Machiavellian world where corporations are vying for market dominance with no government oversight. The people become the causality of this war as these corporations have the technology and power to influence the public via bio-chips installed in their heads. Syndicate blends fast paced action and f..